Vocal Professor at the Guildhall School of Music & Drama, and at the Royal Academy of Music. London-born lyric soprano and teacher of singing, Marie Vassiliou has appeared at home and abroad in a wide range of repertoire. She is currently a Professor of the vocal faculties of both the Guildhall School of Music & Drama and the Royal Academy of Music. Early on in her career she specialised in contemporary and baroque music, but has since also been in demand for Romantic repertoire. Described as a musician’s singer, she is noted for her versatility. Her performing career has taken her all over Europe, as well as to North America and Asia. She has appeared at UK venues such as the Royal Albert Hall, Royal Festival Hall, Barbican, Linbury Studio, Purcell Room, St John’s Smith Square, etc. and has worked with conductors such as Sir Andrew Davis, Sir David Willcocks, Martyn Brabbins, Edward Gardner, Vernon Handley, Wayne Marshall and Clark Rundell. She has also performed at major music festivals, such as BBC Proms and Huddersfield Contemporary Music Festival. Her performances have been broadcast live by BBC Radio 3 and 4, Classic FM and Radio France. The recipient of numerous awards, including the prestigious Tagore Gold Medal and the Constant and Kit Lambert Fellowship, Marie studied at the Royal College of Music with joint principal studies in singing and viola. Her work is defined by a depth of musical understanding and insight. At the RCM she studied with Heather Harper and furthered her studies with Janice Chapman, who continues to mentor and inspire her today. 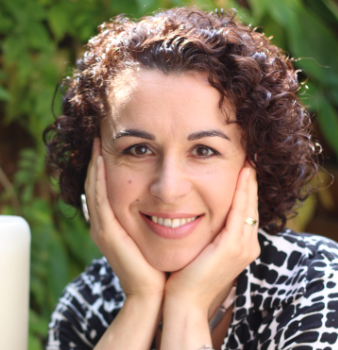 Marie has developed a passion for research and recently completed a Masters in Teaching and Learning in Higher Education at IOE (University of London), with a dissertation on fearless performance and the notion of flow in vocal performance. This has led to research into a number of spin-off areas, including the cultivation of presence, mindful meditation, coaching-mentoring and most recently, improvisation. These areas feed into Marie’s multidisciplinary approach to working with voices. She has twice been chosen to represent the Guildhall School at the ICON conservatoire seminars, held in Finland, as well as the METRIC seminar in Estonia. She is delighted to have been a part of the teaching team in the Classical Voice Training courses for the last two years.